(L to R) Malory Berry, RN, Harden Medical Center; Jackie Moreland, RN, BSN, clinical quality improvement specialist for TCPS; and Michelle Caissie, RN Harden Medical Center attending a recent TCPS breastfeeding workshop. Healthcare providers are drawn to their field by a deep desire to help others, yet the landmark Institute of Medicine report "To Err is Human" sounded the alarm on the frequency with which unintentional harm occurred in the inpatient setting. 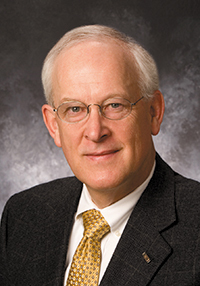 "Hospitals and health systems across the nation all thought we had the quality and patient safety issue licked and there were no major challenges ... but the data proved us all wrong," noted Tennessee Hospital Association President and CEO Craig Becker. "It was up to THA to show our members there was a problem and then offer a solution to fix it. The Tennessee Center for Patient Safety was the answer, and it's working." Committed to zero preventable harm, the TCPS is led by THA Senior Vice President for Clinical Services Chris Clarke, RN, BSN. 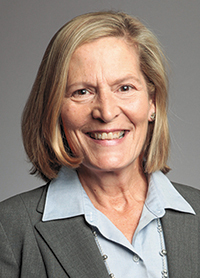 She and a team of quality and safety professionals work with hospitals across the state and colleagues across the country to institute evidence-based initiatives aimed at addressing some of the most common hospital-acquired conditions. Clarke said TCPS was formally launched in 2007 with initial funding support from BlueCross BlueShield of Tennessee Foundation. Becker noted, "Without their support, TCPS would have never gotten off the ground." 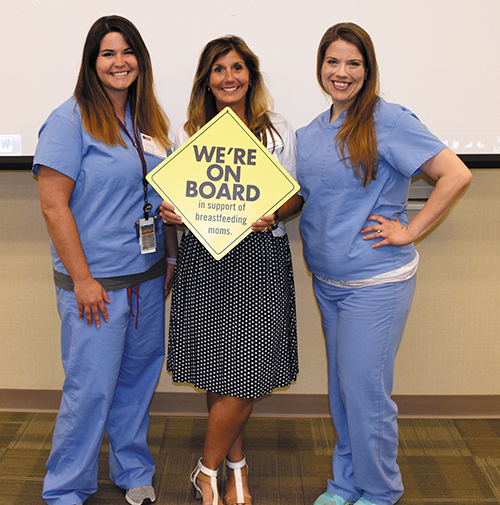 Although THA was already working with hospitals on some smaller projects and initiatives, there were several drivers that led the organization to expand their efforts in patient safety. "If we wanted to create a permanent infrastructure to support change and focus on improving outcomes for our patients' overall quality and improved safety, what would that look like? That was really the driver," Clarke explained of the fundamental question the THA asked of its staff and membership. A second motivator was the Institute for Healthcare Improvement's 100,000 Lives Campaign, a nationwide initiative launched at the beginning of 2005 to extend or save 100,000 lives by instituting best practices. "We were one of the early partners in that campaign," explained Clarke. She added those previous experiences, coupled with proactive hospital leadership in Tennessee, led to the formal founding of the TCPS. "We started with a real emphasis on hospital-acquired infections," Clarke said, noting there was new evidence at the time that bundling steps into a process could prevent some of the onerous infections that plagued hospitals. "The best example is central line-associated blood stream infections, or a CLABSI," she continued. Previously, if someone entered the ICU, the focus was solely on saving that life. If an infection occurred as a result of inserting a central line, it wasn't challenged as a preventable event. "Now, if you said to someone that CLABSIs are unavoidable, they'd say, 'No they're not ... the majority are preventable,'" said Clarke. "It's a real shift in thought and practice." Tennessee became the second state to partner with Johns Hopkins on their CLABSI bundle, which is now considered the standard of care. Nationwide, there was a 46 percent decrease in CLABSIs from 2008-2013 as a result of more hospitals implementing evidence-based processes around inserting, maintaining and removing central lines. TCPS funding and scope has grown over the ensuing decade. "The Center for Medicare & Medicaid Innovation (CMMI) was our second funder, which allowed us to take our efforts to the next level," said Becker. "We were able to expand the focus even further to additional complications, such as patient falls and early elective deliveries. Now, we are partnered with the American Hospital Association, which is funded by CMMI and helps us keep the next generation of improvements in the pipeline." Clarke agreed, noting TCPS also now looks at readmissions, medication safety, pressure ulcers, safe sleep for infants and more. "It has expanded now to the entire spectrum of care," she pointed out. To effect change across such a broad platform, Clarke said TCPS has partnered with other stakeholders including the Tennessee Department of Health, the state's Quality Improvement Organization (QIO) and TIPQC, in addition to participating in the Hospital Improvement Innovation Network (HIIN) and forming the Tennessee Surgical Quality Collaborative (TSQC) in collaboration with the Tennessee Chapter of the American College of Surgeons. The center draws from both national resources and local wisdom to craft programming. An open sharing of what works ... and what doesn't ... has proven to be invaluable to hospitals and health systems across the state as they implement new processes to address quality and safety. The TCPS works closely with physicians, nurses, infection control professionals, pharmacists and other healthcare professionals to incorporate their insights into initiatives. "We rely really heavily on those people because they're the 'boots on the ground' people who effect change," Clarke said. "We are grateful to the dedicated healthcare professionals and their commitment to constantly thinking about how we can make this better," said Clarke. "A center like this provides the infrastructure for that collaboration." As the center has grown and the field has expanded over the past decade, Clarke said the way quality and safety are viewed is also changing. "Initially, we'd take a topic and think about it as a project ... so CLABSI or CAUTI (catheter-associated urinary tract infection) was one project." However, she continued, a maturation in thought has led to more people viewing safety risks for a patient across all-cause harm. "It's shifting from a project focus to systems of care. It's asking what does highly safe, reliable care look like?" Clarke continued, "Are we underpinning our practices to make sure we're doing everything consistently to provide optimal care for our patients, and at the same time, minimizing any risk of complications? It sounds like it should be an easy thing to do, but care is so complex. Quality is the space where we all continue to learn." Witnessing the momentum behind improving patient safety is exciting, she said. "When it becomes as automatic as a daily report ... when we think about patient safety and risk embedded into every conversation ... we'll be successful. Then we're really changing the way we practice," Clarke concluded. "The proof of what we are accomplishing is in the improved patient outcomes on harm," said THA President and CEO Craig Becker. "We have seen tremendous reductions in harm over the life of the TCPS." The 2015 annualized estimated impact, the most current data, showed 12,504 fewer adverse events resulting in cost avoidance in excess of $68 million. Additionally, there were 2,000 fewer hospital readmissions with an estimated savings of more than $27 million. Looking at specific target areas and comparing 2015 figures to baseline metrics, there has been an overall reduction rate of 90 percent in early elective deliveries, 60 percent in CLABSI (ICU), 56 percent in CAUTI in the ICU and 45 percent in wards, 53 percent in possible ventilator-associated pneumonia, a 42 percent drop in the rate of pressure ulcers, and a 28 percent decline in sepsis. While celebrating the accomplishments to date, there is always more room for improvement. Some areas, like falls, continue to frustrate many providers who are still searching for the best way to address this patient safety concern. "This is definitely a journey and will need constant attention by both the TCPS and our members," Becker said.